The panel of judges consisted of McKenzie Slaughter, from Prohaus VC (venture capital firm, United States); Niraj Varia, from Novastar Ventures (venture catalyst firm, East Africa), Hervé Pillaud, from the Vendée Chamber of Agriculture (France) and Agreenstartup (agriculture startup competition); Jermaine Henry, from Devlabs (venture capital firm, Americas), Ralph von Kaufmann, from Hakika Ltd (UK), and Peris Bosire from FarmDrive (startup, Kenya). 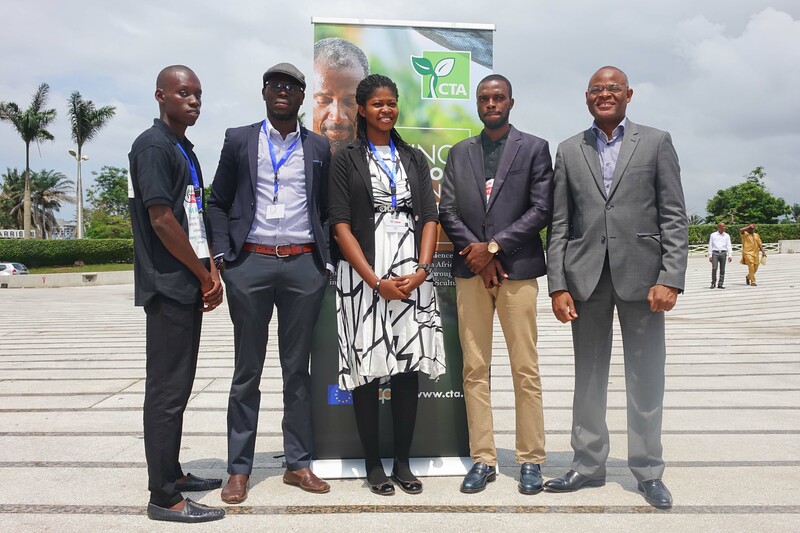 Pitch AgriHack 2016 was organised by CTA in collaboration with the African Development Bank (AfDB) and the support of partners including the Centre for Agricultural Bioscience International (CABI) and mLab East Africa. I am a good listener as well as a quick learner. People tell me that I am a hardworking and patient person. I used to have many hobbies but nowadays when not in my garden you’ll find me with my laptop. My short-term goal is to understand various ICT tools and technologies and use them to address rural development problems and in the long-run, I want to rise to an important position where I can drive reforms that will steer rural development. Through my daily experiences, I come across a myriad of ideas, some of which are still fresh and some which are hazy. To help myself clarify them, I write them down and by so doing and letting them see the light, I understand them better. Since I was introduced to blogging by CTA under the YoBloCo awards competition, I blog on issues that are dear to me; women and youth in agriculture, the use of information communication technologies (ICTs) for development, environmental conservation and youth unemployment. I use writing as a platform for enhancing my thinking and sharing my thoughts in these areas. To present my thoughts to the world, I need to understand them and articulate them effectively for others to understand; if people can learn something from my insights and experiences, then I’m delighted. By posting my ideas out there, people either reinforce them, modify them, totally reject them or just take them in and muse on them. All these are worthwhile and I like just being seen to know things; being thoughtful is good for me. Comments are the lifeblood of any blog, without which the blog is not alive. As a blogger, I welcome comments from my readers who don’t necessarily have the same opinion as me on a particular topic or subject. In fact, the discussion is often richer if we don’t agree with each other, as long as the interaction is mutually respectful. I started blogging a long time before the YoBloCo awards but I must admit that the experience with YoBloCo really enhanced my English and writing skills. The challenge of soliciting for information more frequently and writing quality articles was an enriching experience. My lecturers at the university tell me that I write quality articles nowadays and that my English proficiency has improved. This, I attribute to almost a year of extensive researching and writing articles for my blog. The researching and writing has had a positive impact on my command of the English language. Through the awards, I got a chance not only to share my knowledge but also to learn from my fellow contestants. I have had a chance to expand my social networks; the number of my friends and followers on social media has tremendously increased. Currently, my blog has 525 followers and the blog stats are at 8045. My Facebook page sharing the blog’s posts (Empowering 4 the future) has increased to 396 likes. The comments posted on my posts are an indication that my blog addresses issues relevant to the people. A comment such as “I truly admire your work. Plastics can also be recycled to make tile … mmmh it’s a business project that am working on currently” on the article The Plastic Menace shows that the plastics are a menace and my article is relevant. Prior to the YoBloCo awards, I used to farm up-country but I am now farming in the city commercially. I have rented a 1-acre piece of land in the outskirts of Nairobi, where I am cultivating vegetables such as nightshade, kales, spinach and cowpeas. I received my first cheque of KSH 30,000 in December 2014. I intend to diversify and convert it into a demonstration farm where other farmers can go and learn from it as lack of information is a major setback for many farmers. I therefore hope this will help fill the information gap existing among the farming and those intending to venture into farming. A research study by Vodafone revealed that all households possess at least one mobile handset and this presents an opportunity for accessing information. My ambition is to start a Q & A messaging service that will enhance farmers’ access to information. Unlike most small-scale farmers, I can gain access to a lot of information and this service will enable farmers to access critical farming information which is important for successful farming. The winners were announced by Philppe Couve, Jury member, assisted by Ken Lohento, in charge of the ARDYIS project. The results were announced in presence of participants of the conference, during a cocktail, and in the presence of various personalities including the Director of CTA, Michael Hailu. Apart from the cash prize won, each winner received a trophy, a certificate and various publications. 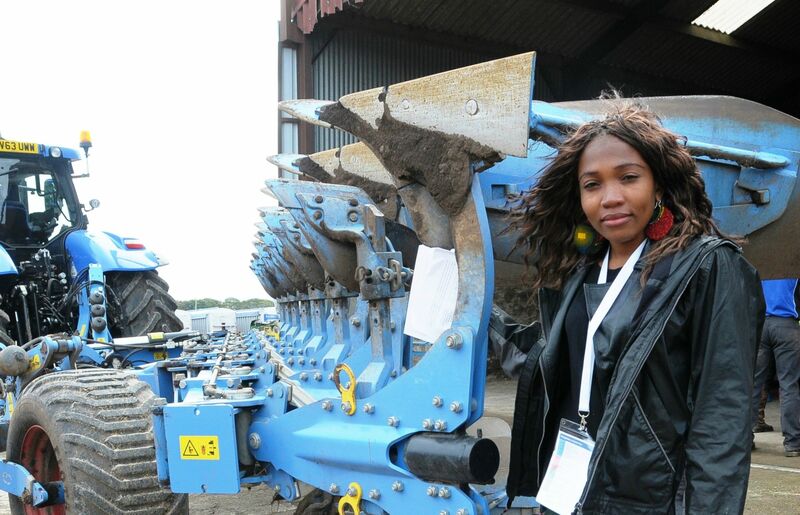 The top 12 bloggers and 3 other best participants of the competition were invited to attend the Fin4Ag Conference from 14-18 July 2014, which is proving to be a good learning and networking opportunity for them. During a side-meeting organised by the ARDYIS project on 16 July in Nairobi, the young agri-bloggers shared their experiences about their journey through the competition and also had the opportunity to exchange with Phillipe Couve, one of the jury members, who gave them feedback on their blogs and how they can improve their writing. CTA and its partners congratulate the winners, as well as all participants who entered the competition! Watch here a 2 min video showcasing the 12 finalist blogs and played before the announcement of results. Launched in October 2013 at the Caribbean Week of Agriculture, the 2nd Edition of the YoBloCo Awards has been a very exciting journey for participants and the organisers. We would like to thank all the participants who took up the challenge and submitted their blogs. We are equally thankful to our partners and everyone who have been following, supporting and promoting the competition! The Youth in Agriculture Blog Competition (YoBloCo Awards) is organised in the framework of the CTA ARDYIS project, in collaboration with FARA, Yam-Pukri, CAFAN, AYF, ANAFE, SPC/PAFPNET and e-Agriculture. It aims to put into limelight successes and issues faced by youth engaged in agriculture, in urban and rural areas; and to encourage the production of information and the use of new information and communication technologies by young farmers groups and organisations interested in the youth in agriculture question. For more information, visit www.yobloco.info. 23 May: Organization of the second meeting of the Advisory Committee of the ARDYIS project. 23 May: IAALD Panel Discussion on e-Agriculture in Africa: Prospects, Challenges and Lessons Learned (Ken Lohento, panelist). Some of these events are pre or post-conference events and other are part of the official conference activities, in partnership with IAALD Africa 2012 organizers. About 30 participants will be taking part in ARDYIS specific activities. 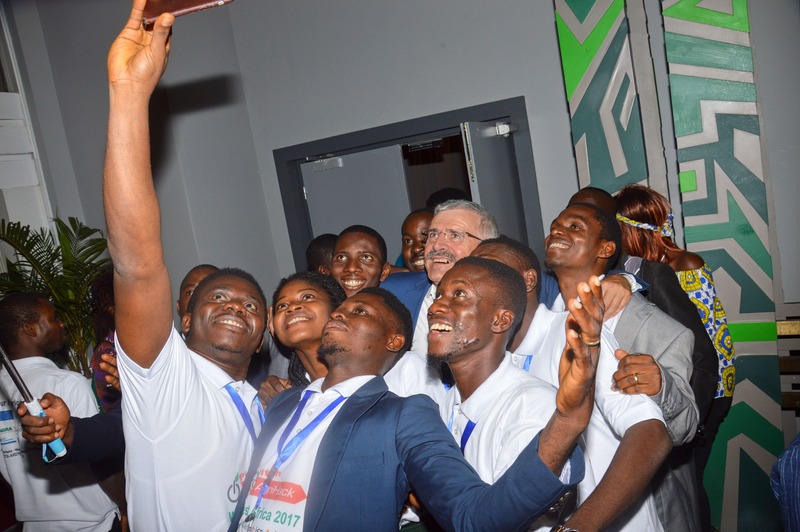 These include young bloggers from ACP countries (winners and runners-up of YoBloCo Awards, from the individual or institutional category), ARDYIS Project’s Advisory Committee members, representatives of CTA and of other organizations interested in youth, ICT and agriculture. Participants are nationals of the following countries : Barbados (Caribbean), Belgium (EU), Benin (West Africa), Burkina Faso (West Africa), Cameroon (Central Africa), DR Congo (Central Africa), Fiji (Pacific), Ghana (West Africa), Italy (EU), Kenya (East Africa), Madagascar (East Africa), Mauritius (East Africa), South Africa (Southern Africa), Trinidad and Tobago (Caribbean), Uganda (East Africa), United Kingdom (EU) and Zimbabwe (Southern Africa). Apart from ARDYIS Advisory Committee members’ institutions, organizations present include: Organization of the African Youth (OAY), FAO, ICT4D Jamaica, SangoNet, International Livestock Research Institute (ILRI), GIC Bellomar, Agribusiness Society of the University of West Indies, Farming and Technology for Africa (FTA), Shiriki Organization, Conseil Régional des Riziculteurs du Mono et du Couffo, Savannah Young Farmers Network (SYFN). Participants sponsored by CTA (including YoBloCo winners and runners-up) are also sponsored to attend all sessions of the IAALD Africa 2012 Conference. The theme of the conference is “e-Agriculture for Improved Livelihoods and Food Security in Africa”. The conference will draw attendance from professionals and experts involved in the application of information and communication technology (ICT) in the rural domain, with a primary focus on agriculture (e-Agriculture), from both inside and outside Africa. All these events will take place in Johannesburg, South Africa, from 20 to 23 May 2012. The ARDYIS project was launched two years ago, in May 2010. 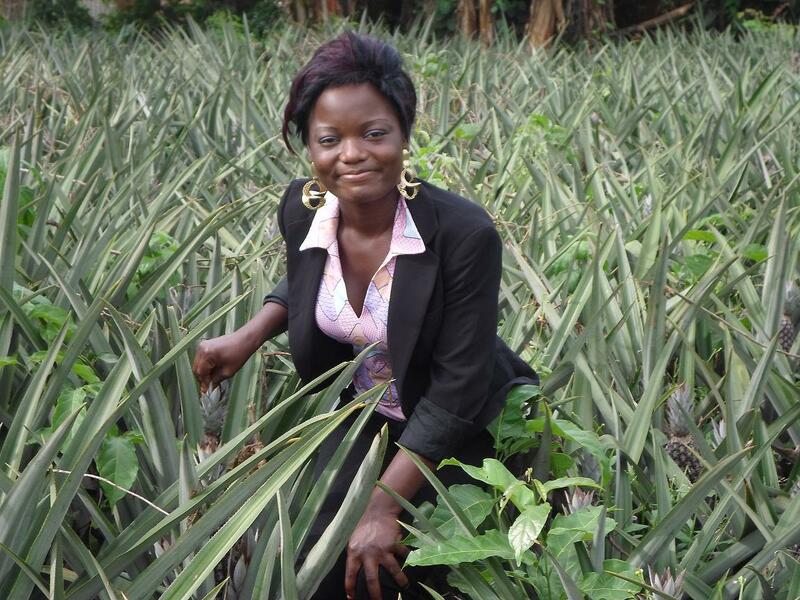 The blogs selected inform on initiatives and challenges of young people engaged in agriculture, on some current agricultural and rural development issues faced by stakeholders, and on how ICT can be used, or are being used, to enhance the sector. Through comments on their posts and interactions with the public, bloggers are raising more awareness on agricultural challenges and encouraging new youth interest in the ACP (Africa, Caribbean and Pacific countries). 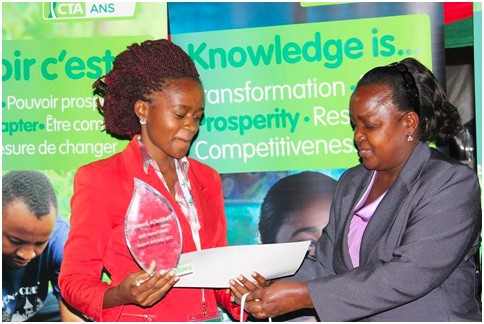 The Youth in Agriculture Blog Competition (YoBloCo Awards) aims to bring into the limelight successes and challenges faced by youth engaged in agriculture, and to encourage the use of new ICTs by young farmers’ groups and organizations interested in the “youth in agriculture” question. It has offered the opportunity to highlight youth opportunities in agriculture and support the involvement young stakeholders. The YoBloCo Awards have been an exciting experience for organizers and bloggers. Many bloggers and institutions are reporting increasing number of visitors, comments on their blogs and collaboration opportunities. CTA and its partners warmly congratulate winners. They thank all the participants and the people (about 3,000) who voted and commented on blogs for making this pioneering experience a success! The competition was launched in July 2011 and 92 blogs were received. For the individual category, winners have been selected from 15 finalists identified following an online voting process. The public also commented on 22 institutional blogs.